If you change the narrative for one country it is possible to change the narrative for each countries. Watch Ambassador Newman’s introduction video: 20 reasons to do business in Botswana. This 2 1/2 minute video quickly dispels business misconceptions about Africa and Botswana and introduces our webinar. Botswana is full of pleasant surprises and opportunities for those considering trade and investment in Africa. Since its independence in 1966 has used its vast economic resources to build per capita income, infrastructure, education system, and credit rating. Botswana has one of the the lowest corruption rates on the continent. It is truly a diamond of opportunity. BECOME AN ABP MEMBER NOW! On 3rd August 2015, Ambassador Newman presented his credentials to President Barack Obama, thereby becoming the 12th Ambassador Extraordinary & Plenipotentiary of the Republic of Botswana to the United States of America. 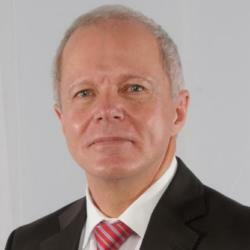 For ten years prior to his appointment as Ambassador-Designate, Ambassador Newman served as Judge of the High Court of Botswana, and sat from time to time as Judge of the Botswana Court of Appeal. From 2009 to 2012, he also represented the Administration of Justice in the Design and Build of the High Court and Court of Appeal Headquarters, and chaired the committee charged with the relocation of both Courts to Gaborone. Between 2006 and 2014, Ambassador Newman also conducted an internship program for law students from the Universities of Cincinnati and Pennsylvania.